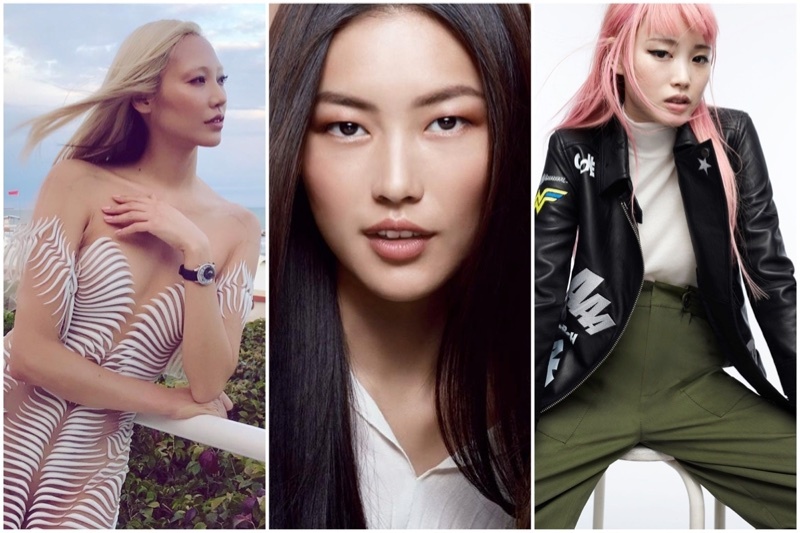 Here, we have a list of nine top Asian models from China, Japan and South Korea who are helping to change the face of fashion with their groundbreaking campaigns and magazine covers. 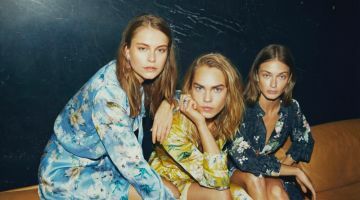 From the runways of Victoria’s Secret to major brands like Chanel and Vogue covers, these women have certainly made an impact. See the full list of beautiful models below. 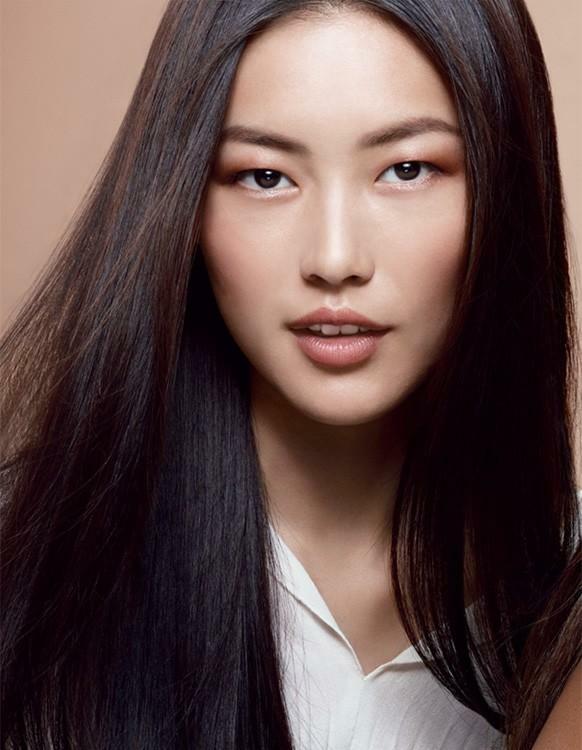 Known for: Liu Wen has had a prolific career, and first rose to fame after being named the first Asian spokesmodel for Estee Lauder. Liu also appeared in campaigns for notable brands such as Tiffany & Co., H&M, Giorgio Armani and La Perla. Liu Wen made history as the first Chinese model to walk the Victoria’s Secret Fashion Show in 2012. In 2013, OK! China dubbed Liu as the first Asian supermodel. In 2017, she became a Chanel ambassador. With over 4.6 million Instagram followers, she’s the most famous Asian model. Known for: Fei Fei Sun appeared in major campaigns throughout her career by posing for brands like Dior, Louis Vuitton, Chanel Beauty and Armani Beauty. Fei Fei also graced the cover of top magazines such as Vogue China, Vogue US and Vogue Italia. Her cover of Vogue Italia marked the first time that a model of East Asian descent appeared on a solo cover for the publication. Estee Lauder named her a spokesmodel in 2017. Known for: Known for her signature bubble gum pink hair, Fernanda Ly quickly rose to prominence in the modeling world. The Australian beauty of Chinese descent appeared in campaigns for brands like Louis Vuitton, Kate Spade, Tiffany & Co. and Dior. Fernanda also graced the covers of fashion glossies such as Teen Vogue, Vogue Japan and Vogue Australia. To get Fernanda’s pastel hair look, you will want to check out sites that sell Vietnamese hair in a multitude of colors. Known for: Modeling since the age of 14, Tao Okamoto appeared in campaigns for brands such as Ralph Lauren, Dolce & Gabbana, Emporio Armani and Tommy Hilfiger. In 2013, she made her first major acting debut in ‘The Wolverine’ where she appeared alongside Hugh Jackman. She also played Mercy Graves in 2015’s ‘Batman v Superman: Dawn of Justice’. In 2009, Tao landed on the cover of Vogue Japan where she had an entire issue dedicated to herself–making her the first Japanese model with this distinction. Known for: Now known for her acting, Du Juan became known as the top Asian model to work during the mid-2000s. She appeared in advertisements for companies like David Yurman, Giorgio Armani, Louis Vuitton and Van Cleef & Arpels. In 2005, she graced a Vogue Paris cover alongside Gemma Ward. 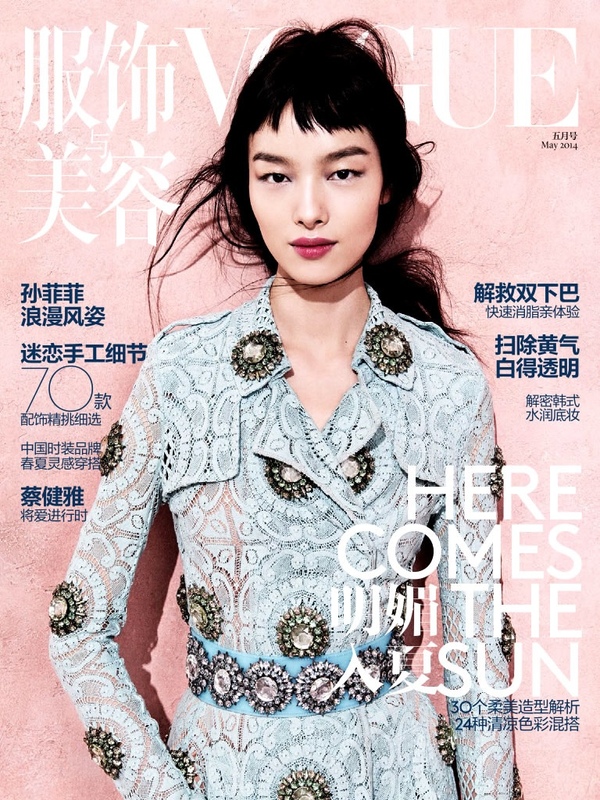 This marked the first Chinese model to appear on the cover of the fashion bible. Du also covered the Chinese editions of Vogue, ELLE and Harper’s Bazaar. In 2019, she starred in a Miu Miu’s spring-summer campaign. 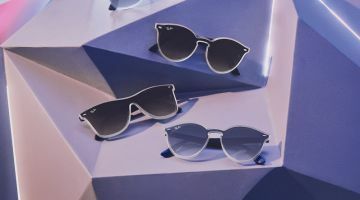 Known for: Since being signed in 2011, Chiharu Okunugi has starred in blue-chip advertisements for labels including Stella McCartney, Karl Lagerfeld, Dior and Chanel. She graced the covers of magazines such as Vogue Japan, Narcisse, L’Officiel Singapore and Glass Magazine. Known for: Ming Xi has had an illustrious career since she hit the scene in 2009. The Asian model walked the Victoria’s Secret Fashion Show in from 2013 to 2018. Ming also starred in advertisements for labels such as Kate Spade, La Perla and H&M. The leggy beauty graced covers of magazines like Vogue China, Vogue Russia and ELLE Russia. Known for: Sui He quickly launched into the spotlight by fronting campaigns for popular labels such as Karl Lagerfeld, Roberto Cavalli, H&M and Ralph Lauren. She also graced the cover of W Magazine, Vogue China, Harper’s Bazaar China and i-D. Sui walked the Victoria’s Secret Fashion Show from 2011 to 2018, making her one of the only Asian models with that distinction. Known for: Soo Joo Park has landed ad campaigns for famous brands including Chanel, MAC Cosmetics, Tom Ford and DKNY. Her signature platinum blonde tresses helped propel her career to even higher heights. In 2014, Soo Joo became L’Oreal Paris’ first Asian-American spokesmodel. 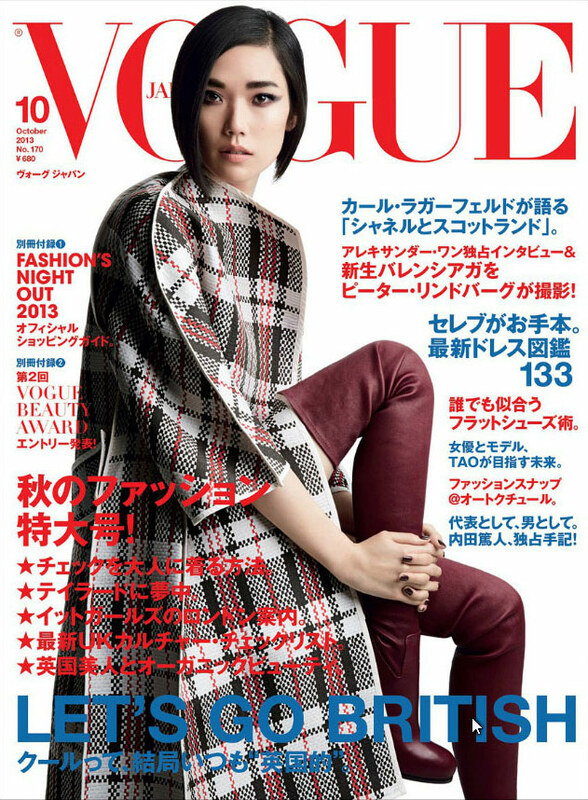 Her list of covers includes glossies like Vogue Korea, FASHION Canada and ELLE Korea.